“When I’m invited to dinner, I often bring the cake." Pierre Herme marks the fourth generation for his family of Alsatian bakers. He was born November 20th, 1961 in Colmar Haut-Rhin, France. At the young age of fourteen years old he apprenticed for the infamous pastry wizard Gaston Lenotre, who greatly inspires him to this day. Working at world famous Patisseries such as Fauchon, Pierre embarked on his quest to dominate the industry almost as soon as he entered it. He worked at Fauchon for 11 years, and became Pastry Chef at the age of 24 and he worked there until '97. He left Fauchon then to help start Laduree, a world renowned store in Paris, known for picture perfect pastry. On a mission to be globally recognized, Pierre Herme's name has become synonymous with pastry perfection. Obsessed with his life's work, he is somewhat of a mystery. Being an artist of sorts, it's no wonder he calls Leonardo Da Vinci his hero, claiming "everything that he touched is extraordinary. He was a visionary man." "I was really very young and I worked hard. I lived in Auteuil, near to the Mirabeau bridge, in an attic room on the eighth floor. I used to get up at 4am in the morning, and then I took the bus in the direction of Plaisir to get to Lenôtre. I used to finish at 2pm and then for me it was the start of a second day. This gave me the time to discover Paris, the Paris of the pâtissier of course, but also cinema and the endless number of attractive shops. All that, I discovered on my long walks through the city streets. I really wanted to see everything, discover everything." In an interview, he was asked what he dreamt of when he was little. He responded, "Architecture. I like building things, and, actually, pastry is not far from architecture. It's about the architecture of flavors. When we make a cake, it's often through creating layers of the flavors. We make it so that it corresponds to the flavors we imagine." "At Lenotre I learned my trade, what quality is, organizational skills, discipline and exactitude, so really the things that are the bottom line in my trade. Then, at Fauchon, I was able to create and express my style, both very important stages. Laduree was where I was able to put it all in place and move above "pastry" to ensure the transition and evolution of that enterprise. In one year Laduree went from a little bakery in the eighth district of Paris to a big brand name. When I arrived, there was not a lot of organization. I really brought the savoir-faire to the company. When I arrived, they didn't have a logo. "- P.H. Despite the fame that Laduree brought him, his contract with them would not allow him to open his own store in Paris at the time. The time came when he had to branch out and lead the pack. 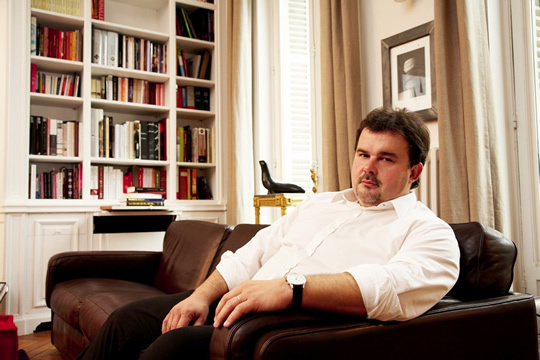 In 1996 he opened his first store, Pierre Herme Paris with partner Charles Znaty. Soon after, the team opened a retail location in Tokyo in 1998. Then another, Salon De The in 2000. Four years later he opened another store in Paris and focused on designing the interior of the store to bring even more aesthetic to his overall appeal.And then he opened a store in Tokyo in 2005- he calls it a "luxury convenience store." It includes a chocolate bar, showcases his classic macrons and celebrates his "evolution" as a pastissier. 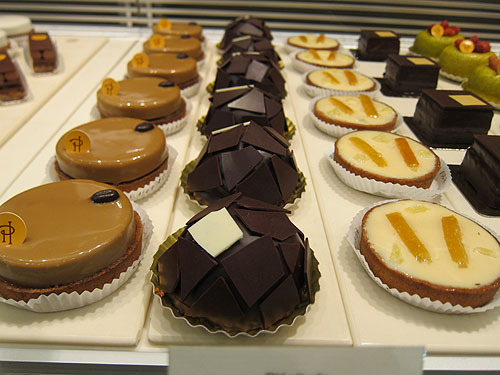 He recently opened another Pierre Herme Paris in Shinjuku Isetan in Japan, in one of the worlds largest "food halls". He also runs a training workshop backed by the Paris Chamber of Commerce. According to The Guardian's 2009 "50 best things in the world to eat", Laduree ranked #7. Because of Laduree and it's not-so-humble history, being Pastry Chef must have come with serious pressure to master their iconic showpiece- the macron. Pierre Herme has most definitely championed the art of making macrons, and has brought a decadent new brightness to them. He is not afraid of unusual flavors, exotic colors and different textures. 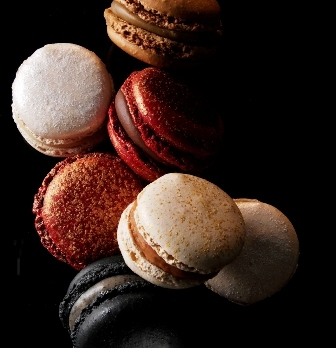 To him, the key is in the overall flavor being in artful unison with the macrons appearance. According to his status, his macrons must look as good as they taste. His most famous macron, the Ispahan- with rose, raspberry and lychee he calls his "Chanel Suit." In love with his presence in the industry, and his brand- despite his modest attempt at being a so-called mystery...the man is in love with his own food, and perhaps that is why he may currently hold rank in the pastry world. His style is always uniform, branded and modernly elegant. 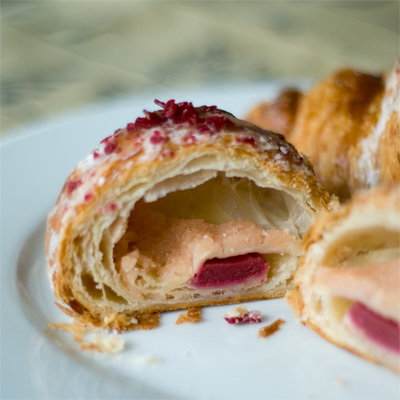 His unique palette for taste exceeds from the inside out, with his pastries often seeming unafraid of their appearance or how they may taste. He is also highly regarded for his impact in the pastry world because of his ability to bring savory ingredients into his desserts. Since he went rogue on his own in '98, he makes bi-annual "collections" that he creates with marketers that are inspired by haute couture and other popular designs. With themes such as, "Fetish", "White" and "Desire." Almost a biography of his emotions, he draws his ideas from his own creative process and mixes those ideas with what he and his team knows will sell. 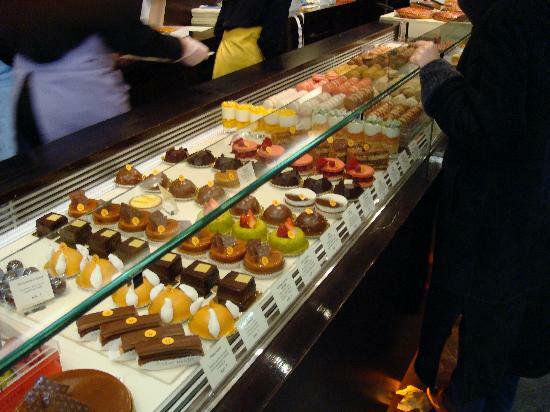 Pierre Hermes' sweets can be found in England, France and Japan in 14 of his stores. He is also currently working on a perfume, soon to be launched. Pierre Herme was the youngest pastry chef to ever be awarded Pastry Chef of the Year in his home country of France. He was also awarded the honor of being named a Chevalier of Arts and Letters in France. He is the only pastry chef to ever do so. He was awarded by L'Association des Patissiers Francais. Although he does not have any operations in North America, with help of food author/critic Dorie Greenspan, they co-wrote Chocolate Desserts by Pierre Hermé and Desserts by Pierre Hermé (won an IACP Cookbook Award in 1999). These two books, written in English have helped his keep a large fan base.